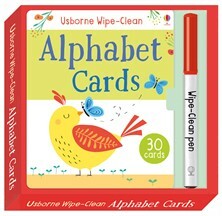 Young children can use these cards again and again to develop key reading and writing skills. There’s a card for each letter of the alphabet, with a picture and word to trace, and space to practise on the back of the card. The cards will help children learn letter shapes and sounds, alphabetical order, and there are ideas for games to play too.